They will also learn contemporary dances, such as the Swing and the Electric Slide Line Dance. No previous dance experience is necessary. Students gain confidence as they socialize in a courteous and fun environment, politely working together to learn the dance frame and steps, graciously helping and encouraging one another, while simultaneously improving their posture and sense of music! 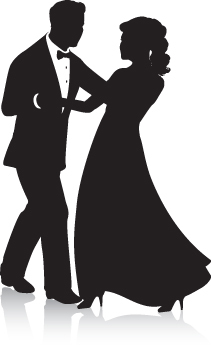 Trained Student Assistants who represent Central Coast Cotillion’s standard of kindness, courtesy and classy dress code, will demonstrate during classes and help in the dance circle. Mrs. Eichhorn’s dance experience began with ballet training at the age of 6, and continued with her study of ballet, tap and jazz for over 10 years in a Marion, Indiana dance studio. She participated in the Butler University half-time contemporary dance team during football and basketball games, in which the half-time shows were directed by Butler dance majors. Her ballroom dance cotillion training began in 4th grade, and progressed through teacher training in college.